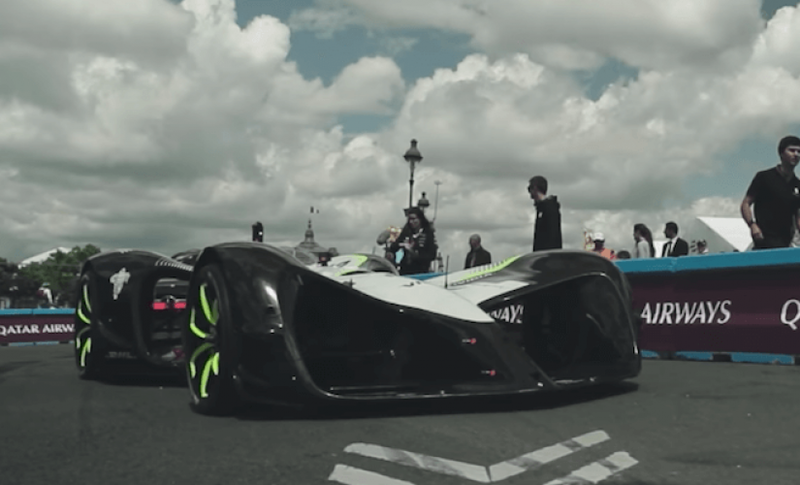 Roborace, a collaborative autonomous development that uses Formula E tracks to test the robocar, managed to complete a full lap at Paris ePrix last week. The robocar is built from scratch, tires are provided by Michelin and Nvidia supplies the Drive PX2 processing unit, capable of 24 trillion operations per second. It can reach speeds of up to 200 mph, although on the track it barely went over 20 mph, as seen in the video below. The robocar also had to stop a few times to figure out its next move. Roborace is seeing better performance off track, it said the car reached a speed of 115 mph. The robocar and other test vehicles have also been in a few crashes. The original plan for Roborace was to have 10 teams of engineers build software and compete in a race during the Formula E championship. The engineers would change the software week-by-week, learning from past mistakes and fine-tuning to make the car perfect for track racing. We are unfortunately not there yet. Only one robocar has taken to the track and the results tend to be a little less exciting than one would hope. Roborace has not said when it plans to invite teams of engineers to compete or if that is even the plan anymore. There are still six races to go before the end of the Formula E championship in July, enough time for Roborace to maybe add competitors or at least reach full speed.